Saint-Émilion Uncorked: Merlot the Underdog Grape? Like music [which is nearly always playing in my home] wine too, whispers its secrets, but you have to slow down long enough to hear what it's saying, and if the wine has a song to sing, in my opinion, Saint Emilion is its composer. 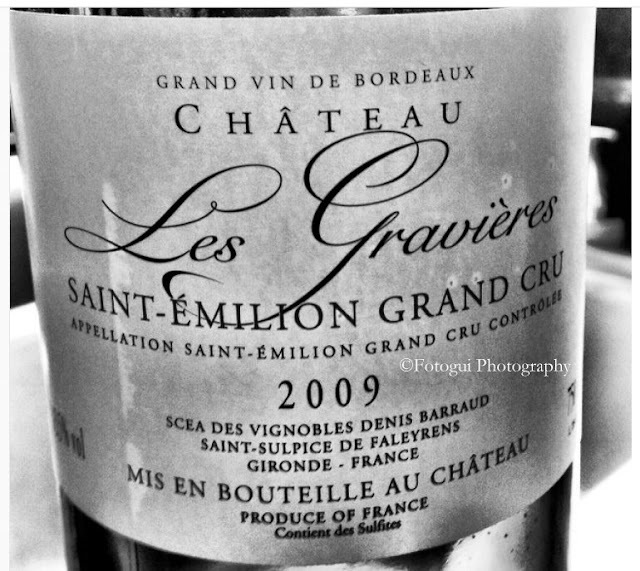 Since returning from my trip to Bordeaux some five years ago, I had become smitten with its flavors and finesse. The wines of Bordeaux, in general, offer so many different expressions, and it would seem to me that those impressions are timeless, but I also found them to be evolving. In my opinion, until you take the time to slow down, taste its textures, flavors, and breathe in its aromas, you may have a hard time understanding what it is, I'm attempting to communicate here. But coming back to the states, I quickly realized, why I was invited in the first place, Merlot was deeply misunderstood by the average wine consumer in the U.S., who, because of a movie developed a disdain for the grape and Merlot sales suffered especially so for domestic producers who varietally label their wines. When I was handselling Bordeaux to customers entering the store, they'd ask which grapes were in the bottle I was recommending, when I said "Merlot" they'd ultimately scrunch up their nose as if I had said skunk. I explained that this grape was simply misunderstood grape, that it has been for centuries one of the principal grapes of the Bordeaux region, where some of the world's most expensive and revered wines were grown, produced, and vinified. Changing hearts and minds regarding this varietal seems to happen one bottle at a time, but once they (wine enthusiasts) take it home, uncork it, consumers are easily convinced of its merits. But of course, not all Merlot is created equal, and there needs to be more than a bit circumspection in choosing a bottle, which is why today's post is a smart step in that direction. Merlot, the long-suffering misunderstood underdog of today's wine world is a champion of soul and substance in its home, St Emilion, France. But don't get me wrong, it does well in some new world regions, but the expression is often entirely different, so is the style. But if you want to understand why this undervalued varietal is so fantastic, you must cross the pond and head for the wine producing region of renown, none other than Bordeaux, specifically the so-called 'undervalued' right-bank wonder, that will keep ya coming back for more. Those in the know, understand St. Emilion is home to some of the most fantastic wine values, for those consumers who are not afraid to spend $25 a bottle or more. What, you mean I can't get soul, substance, and complexity for under $10? The short answer is emphatically no, but you can get by. But if you'd like to do better than merely "get by" drinking the ordinary wines lining the bottoms shelves of your favorite grocery, then stay tuned. This growing region was made for Merlot because this varietal excels in clay and limestone soils. Partnered along with Cabernet Franc, these two varietals make up the over ninety percent of the plantings there. This region [SE] borders the river Dordogne, meaning it is also significantly further from the oceans maritime influence, thus benefiting the early ripening Merlot. It's most often a blend of seventy percent Merlot, contrary to what the book "About Wine" indicates with Cabernet Franc and Cabernet Sauvignon filling the balance in most cases. It is interesting to note that Cab Franc, as it's popularly known; it's a great growing partner with Merlot, though their distinct origins came from entirely different paths. Although, Cab Franc (CF) has more in common with Cabernet Sauvignon (CS) than Merlot. But CF brings the 'perfume' to the blend with its growing partner Merlot. The one-two punch of these similar but different growing partners produce wines of distinction, approachability, and typically long embracing finishes which make food pairing a snap. Merlot's different growing partner Cab Franc gives these wines of St Emilion its most important attribute, aging potential. Hello, Saint-Émilion, in a word, stunning. But if you want to see its beautifully stunning side, patience is required. As it needs an hour in the decanter to fully develop and unwind. Aromas of dark plum dried earth and licorice. The tannins meld into the background, plenty of structure and acid. This wine is very polished, dry red and dark fruits, mocha, and floral underbrush, delightfully tickle each taste bud. While drinking marvelously now, further aging will reward the patient, when you can and as often as you can drink Cru. Another classic Saint Emilion Score: 94 points. "I think that a great deal of happiness is given to men who were born where good wines are grown" ~ Leonardo Da Vinci. The lieu-dit Sansonnet lies to the east of the village of Saint-Emilion, atop a small hill with a view of the Saint Emilion plateau, and covers 6.96 hectares (17 acres) a relatively small operation. Château Sansonnet was purchased by Marie and Christophe Lefévère in 2009, since then, this producer has become one to keep your eyes on. One whiff of the nose and you immediately know this wine has an evolved style, speaking New World finesse and pageantry. If this wine were from some swanky Napa Valley producer, the price tag would be more than double or possibly even triple Benjamin territory and allocated like tickets to an exorbitant priced Hamilton play. On the palate, classic drink now and drink often drinking pleasure is to be easily had. A gorgeous wine loaded with red and dark fruits, enough acid to carry the day and the structure to last many years in the bottle. The mid-palate had some bear-threads, but overall this wine is very generous, the finish is long and lasting. You want this in your cellar, age it gracefully and you'll be rewarded for your patience. In this blend, Merlot has a dominant role at 90%, while Cabernet Franc has a fun drum-solo knocking down 3% while Cabernet Sauvignon plays bass in the background; and aged 16 months in 80% new oak. My score for this wine selling anywhere from $39 to $43 is 92 points. This wine is stupid good at this price, and while their 2014 may be long gone, their 2015 is just as stellar. So much for Merlot's underdog status huh? 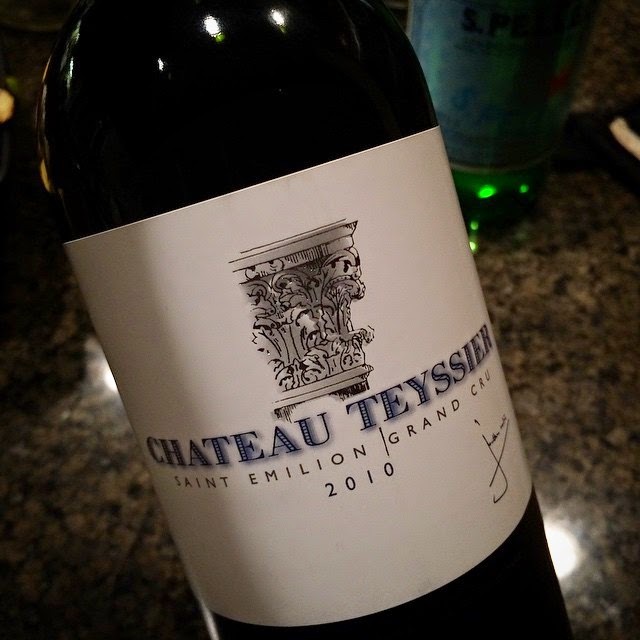 Chateau Teyssier, Saint Emilion Grand Cru 2010: Jumping from the comfy confines of California to the right bank of Bordeaux, let's take a trip to 'tasty town' (a borrowed hackneyed now cringe-worthy phrase) via Chateau Teyssier, a Saint-Emilion Grand Cru. This wine, of which I just ordered four more, is mind-blowing good for the tiny $29 price tag. An entry level Bordeaux, with modern sensibilities, and still widely available. A blend of 85% Merlot and 15% Cabernet Franc, taut tannins stretched out over a canvas of rich black fruit, blackberry, dark plums, cassis, some rustic minerality, beautifully textured, coupled with a long finish bringing it all home. It could definitely age for much longer, 2010 was one the very best recent vintages in Bordeaux and in this bottle, you find out why that is true. My score 91 points. This is case purchase territory. Putting my money where my mouth is; I still have a few in the cellar. 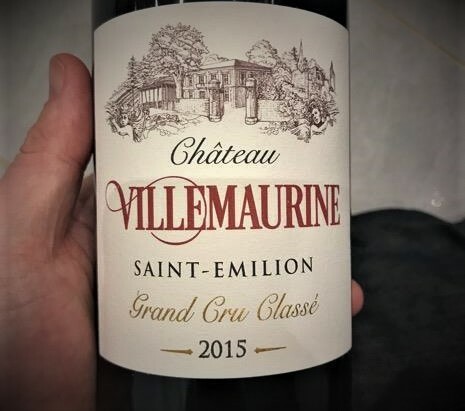 2015 Château Cardinal Villemaurine St. Émilion Grand Cru: Putting my nose in the glass, a potpourri of delicate dark floral notes, intriguing underbrush, ripe blackberry, freshly wrapped tobacco leaves and a pinch of cedar playing bass in the background. I was taken back after the first sip, as a primer on classic Bordeaux, again reminding me of the unforgettable experiences I had in the region 5 years ago and continue to have vicariously through each bottle I uncork. Folks this wine is outstanding, the quality to price ratio should have you take notice right now. While this wine won't get you any 'brag' points or make ya insta-famous, you don't want to miss out, the pre-arrival price is a mere $45, this is a bargain. This wine is a blend of 80% Merlot and 20% Cabernet Franc from an 11-hectare vineyard located just above La Clotte and Le Prieuré, great poise on the palate, plush, cherry, plum, licorice, long-chain tannins folded into the fruit, the finish is long and lasting. My score for this wine 92 points, and will reward the patient cellar collector. The wines in today's review represent a small slice of the wine drinking joy to be found in the Right Bank wines of Bordeaux, and while many of the grand crus sport a somewhat hefty price tag, there's much wine drinking joy to be found in their second labels. Also, it's not only Saint-Émilion but also Pomerol bringing the delights of Merlot. If you've still not availed yourself of the opportunity to experience the wines of Bordeaux, then you owe it to yourself to see what the 'fuss' is all about. If you do, I think you too will become captivated by these great wines. Until then folks, as always remember life is short, compromise is for relationships, so sip long and prosper cheers! Full Disclosure: Reviewed wines are often from medias sample provided (not for sale) for the review process. However, in this case, the wines in today's review were purchased for personal consumption, with the exception of the last wine, which was encountered at a tasting I paid to attend. All original content: Including text and photographs remain the copyright of the author, (W.R. Eyer, Cuvée Corner Media Productions and Fotogui Photography) except where otherwise noted. What is all this Merlot talk? Man, I can get seriously good wines from my friend who makes wine in his garage, maybe it's not Bordeaux, and he doesn't live in a Chateaux, but his garage wines are so good!! Is Your Red Wine Vegan? Do you Vin Doux Naturel?